This week has witnessed major tidal changes for San Diego’s media. 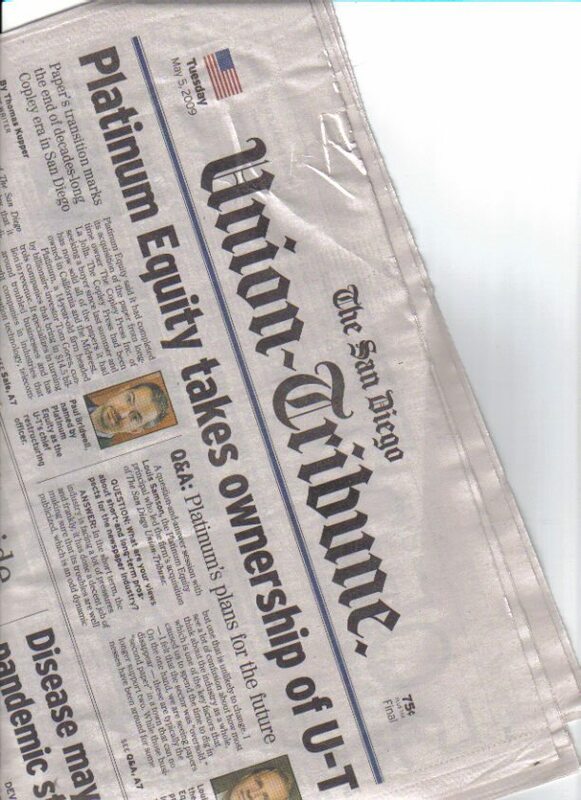 The San Diego Union-Tribune formally changed publishers – the Copley family 80-year run has come to an end, and the new owners have announced who’s running the show. And the new kid on the block of internet news, San Diego News Network (SDNN) has outpaced the other independent net show, the Voice of San Diego, in terms of monthly hits – for the first time. The Beverly Hills investment firm Platinum Equity said it had completed its acquisition of the paper from longtime owner The Copley Press Inc. of La Jolla. … Platinum, a 14-year-old firm headed by billionaire investor Tom Gores, controls companies that bring in $14.5 billion in revenue. It specializes in turning around troubled businesses and has bought companies in industries that span information technology, telecommunications, logistics, metals services, manufacturing and distribution. Paul Birdwell - man in control at the U-T. Did you notice whether he had ever managed a newspaper before? Platinum announced the appointment of turnaround specialist Paul Bridwell as the Union-Tribune’s chief restructuring officer. 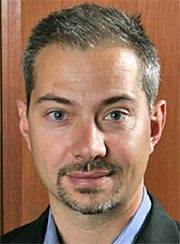 Bridwell, who has served in senior positions with several Platinum Equity portfolio companies, will be the senior executive at the newspaper until a permanent publisher is named. Once a publisher is in place, Bridwell will remain on the staff at the Union-Tribune to help guide restructuring efforts and long-term strategy. Home page of SDNN. How can you throw ketchup on a web news site whose feature post is about hamburgers? Meanwhile, during the same week – this one – that the U-T changed hands, San Diego’s new internet news site – San Diego News Network – made up largely of folks from the U-T’s SignOnSanDiego – has outdistanced the Voice of San Diego, our city’s main investigative journalist website, in terms of monthly unique visitors. Calling themselves a five-week media outlook, SDNN announced that it had over 70,000 unique visitors last month, quoting CEO Neil Senturia. In contrast, the Voice is nearing 60,000. See for yourself. For a comparison, the OB Rag blog had nearly 15,000 in April (according to our own statcounter). at least the obrag’s not milque toast. Older Article: Rock Paper Scissors back in the news?